Learn how captive insurance can change your risk into opportunity. Hear from Industry Experts, Clients and a Special Guest on the importance of utilizing a Best-in-Class team to implement and manage your enterprise risk captive. Contact Andrea at 410-472-6490 or email for more information. Check out if we are in your area to schedule a meeting! Contact us at 410-472-6490 or email if interested in setting a meeting! We take Risk Management seriously. Captive insurance management is our only business, and nobody does it better. Turning Risk into Opportunity. Oxford’s Private Insurance Solutions are proven complements to effective risk management initiatives. We bring together the right partners with expertise where it matters most, to deliver the highest possible degree of long-term success for your captive insurance company. We are the nation’s leader in delivering comprehensive enterprise risk solutions to the most successful businesses, financial institutions, professional athletes and entertainment personalities in the country. Independent advisors from a wide array of disciplines collaborate with Oxford to engineer conservative programs with a compliance – first mentality, while establishing and maintaining impeccable client service standards. We did not invent the alternative risk management industry, but we have certainly perfected the captive insurance space – providing customized risk management services to more clients than any other company in the enterprise risk industry. A Guide to Forming and Perfecting Your Own Insurance Company. 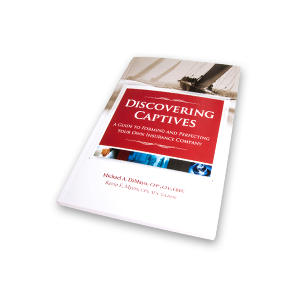 Call us to get a copy of the 2nd Edition of the definitive book on Captives, written by Michael A. DiMayo and Kevin E. Myers. Once you've read this clear and easy to understand guide, you'll understand why so many business owners are taking advantage of Captive solutions.